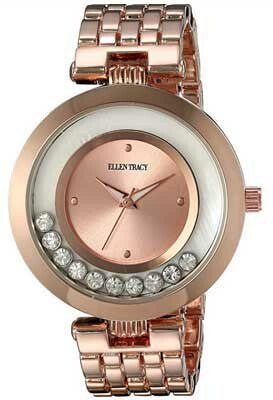 If you’re not familiar with Ellen Tracy watches, don’t be too surprised. Ellen Tracy is a fashion company that was founded in New York in 1949 as a manufacturer of blouses. They eventually expanded into other areas of women’s wear, including accessories, and that’s where this brand fits in. As with many other fashion brands, these watches are attractive and affordable, while not offering a lot in the way of features. That’s not necessarily a problem; there’s a market for watches that look good and don’t cost a lot of money, especially since most people who buy wristwatches are not overly interested in the mechanics or complications. At the end of the day, these watches have a lot to offer for buyers. They offer a number of interesting styles, they offer a timepiece that will keep accurate time, and they offer those things at a price that makes them affordable for just about everyone. Read on for the full Ellen Tracy watches review. Keeping in mind that Ellen Tracy watches are fashion accessories first and wristwatches second, you’ll find that the build quality is adequate, but not much more than that. Cases are made from stainless steel, though many are rose gold plated. The watch face is protected by mineral crystal. Water resistance is minimal; many models are not rated as water resistant at all. Then again, if you look at this brand, you’ll see a timepiece that doesn’t look like it belongs anywhere near water. You’re going to wear them to work or the store; you’re not going to go diving with them. 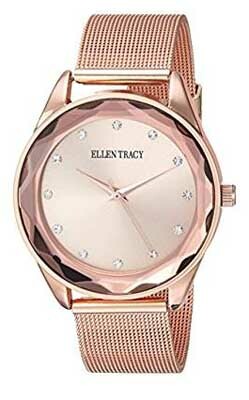 While we suspect that Ellen Tracy watches are manufactured in China, the watches have Japanese quartz electronic movements. The Japanese have a reputation for providing quality movements at an affordable price, and quartz movements are both accurate and reliable. You’ll likely find that these watches keep good time and offer little in the way of trouble. 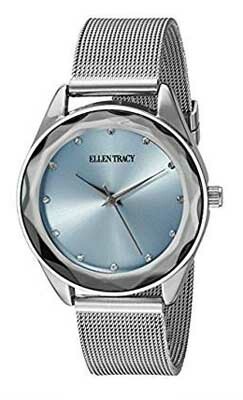 What sort of innovation will you find in Ellen Tracy watches? None. 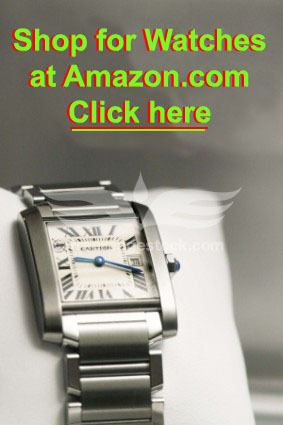 These are inexpensive fashion watches, and as far as we know, all models are time-only. Most, if not all of them, offer a sweep second hand, but we didn’t see a single model that offered even so much as a date complication. A few appear to have subdials, but these are actually faux dials and serve no purpose other than to make the watch face look a bit more interesting. If you’re looking for complications, you’ll have to look elsewhere. These watches are made for women, so you’ll find that they’re all rather pretty and range between a faux gold look and silver, with most having white, gold, or rose gold colored faces. All have steel bracelets and modest case sizes. A number of them have crystals to add a touch of bling to their look, but at their price point, you won’t find actual gold, other precious metals, or actual gemstones. The care and maintenance is pretty straightforward. These timepieces are all powered by accurate and reliable Japanese-made quartz movements. They are electric, and powered by batteries that will need to be replaced every two to three years. Aside from this, you won’t have to do anything else in the way of maintenance. As with all watches, you should store your watch away from extremes of temperature and keep them away from strong magnetic fields. You should store them in a cool, dry place. With proper care, you should get a few years of use from your purchase. We have not been able to find out anything about a manufacturer’s warranty on these timepieces. The official Website has no mention of the company’s watches, so there’s no warranty information available there. A number of retailers do offer a warranty if you purchase your watch from them. Some others may offer an extended warranty at a modest charge. Be sure to check about this before making a purchase. While the watches are tested at the factory prior to shipping, it’s a good idea to know how your purchase will be warranted. As we’ve previously mentioned, the prices are quite reasonable, and as designer watches go, are quite inexpensive. Prices range from roughly $20 to a high of about $80. That makes them quite affordable, and as there are nearly 50 different models for sale, you’ll likely be able to afford to buy several of them if you like their styling. You’ll find them for sale at a number of brick and mortar retailers that carry the brand. That includes most upscale department stores, such as Macy’s or Nordstrom’s. You can also find them for sale at a number of online retailers, and they may provide your best opportunity to buy discount Ellen Tracy watches. Online retailers have lower overhead and have greater ability to offer discounts. Some retailers have a larger inventory than others, but we’ve noted that Amazon has nearly 50 different models in stock. When it comes to buying a wristwatch, everyone has different needs and tastes. Some people want gold cases and diamonds. Others want chronographs, phases of the moon, and elaborate mechanical movements. Still others just want a nice-looking watch that they can wear every day without having to worry about losing it, breaking it, or how much it costs. That’s the case with here. They’re diverse in style, they’re very attractive, they are built with reliable movements, and they’re priced so inexpensively that you’ll be able to buy three or four of them if you like. If you’re interested in an attractive watch that won’t cost you a fortune, Ellen Tracy watches might be a good choice for you.